The Last Grading for 2005 will be held at Rochfords Dojo on Sunday December 18th from 10.am and finish at 11.30am .The grading will be taken by Sensei Bob Poynton 6th Dan. Grading forms will be distributed shortly, would all students ensure that their KUGB Licence are up to date and their annual membership to the club has been paid for 2005. Please get in touch if you are unsure, as you will not be able to grade until both have been updated. Congratulations go to all the squad members who took part and kept the high standard of our Club throughout the year. 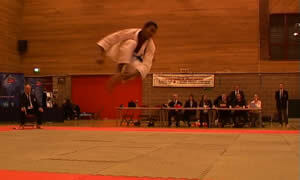 The last competition of the year was held recently in Chesterfield. 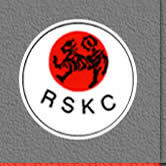 The team of Richard, Sheldon and Daniel represented the Club. The team performance was exciting full of speed power exceptional techniques. Sheldon long lunging Kizame zuki stopped some competitors literally in flight. Daniel continues to improve utilising his long ranging kicks and scoring equally with his punching combos. Richard has finally won the Individual Kata it has been a long time coming but as I always say 'You cant keep a good man down', very well done Rich. Richard's has regained the mobility that was his trade mark fighting style a few years back, fast body movement striking fast giving his opponents no time to get their counters off. Richard along with Sheldon and Daniel kept the Rochfords flag flying. The quality of students the club possess is exceptional, long may it continue. I hope the younger members will look to the more advanced grades and emulate both techniques dedication and Discipline to their training and the Club. To All Intermediate and senior Competitors, it will be compulsory to wear gum shields and Groin guards for all Kumite events. 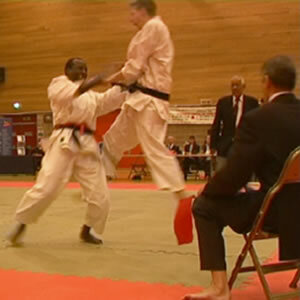 All competitors must demonstrate the highest level of control and behaviour, Competitors are reminded a risk of injury in all Kumite events. I hope all parents and friends will support the club and its students by attending and giving encouragement to all. There will also be a raffle with proceeds going to 'Cancer Research UK' If Any one would like to contribute to the raffle by way of donating a prize to be raffled please get in touch with me.